Ogden on Politics: Will Mayor Ballard's 10% Job Set-Asides for Convicted Criminals Prove to Be a Political Disaster? Will Mayor Ballard's 10% Job Set-Asides for Convicted Criminals Prove to Be a Political Disaster? Gary Welsh of Advance Indiana published the shocking revelation that Indianapolis Mayor Greg Ballard has set aside 10% of the new hires in city government for people who have been convicted of a crime. 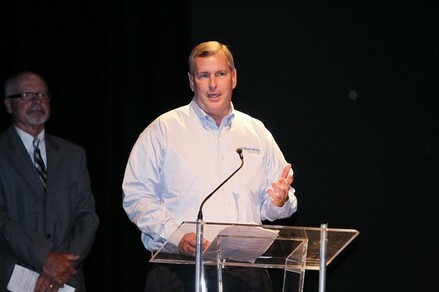 Apparently Mayor Ballard was bragging about that affirmative action program at a recent Mayor's Night Out. Let me say from the outset that you'll find few Republicans more sympathetic to giving those convicted of a crime a second chance in life than me It is virtually impossible to get one's criminal history expunged in Indiana and, if you have a felony, you'll almost certainly struggle to get any employment. I've seen many people with felonies who truly want to turn their lives around find that no one will hire them. Having said that, the notion that 10% of city jobs should be set aside for those convicted of a crime is insane. While we shouldn't rule out people convicted from working for the city, it certainly shouldn't be a positive chip on the side of the applicant. That's exactly what it is when you set aside jobs for those who have been convicted of committing crimes. Plus you are discriminating against those who have not committed crimes. Besides bad policy, it is disastrous politics. Ballard is trying to run as being tough on crime. How long will it be before some enterprising reporter gets a list of people hired under the 10% set aside program, and the particular crimes those folks committed, and makes that information public? Are Ballard's political people so completely clueless that they do not see that coming? The political hit on the Ballard campaign will be enormous. It would be an issue that hits doubly hard as it cuts from Ballard's core constituency, the law and order types conservative Republicans who would almost certainly cast a vote for Ballard and who now may vote for his opponent. To be honest, I think it's an admirable idea, but I don't think it makes good policy or good government. It's not a big deal. The convicts will be working side-be-side with people who should be convicted criminals. I agree with Jon Easter that it's admirable but dumb policy... Especially putting a specific quota. If it was more that we want offenders to have an equal opportunity to re-enter the workforce through the city and here's what we are going to do to give them a fair shot then I think that's great. But the 10% quota is insane! Lets see, I work hard, live a good clean life,stay out of trouble.But because I did not commit a crime I am shut out of 10% of the possible jobs with the City of Indianapolis. My son goes to school for four years, tries to get a job with the city and because he has not commited a crime he cannot get a job.Wow,Ballard really is pandering to the criminals and the low lifes. First it's amnesty for Gangstas,Then its a free pass for Brandon,then its trashing his own police department while calling Straub the second coming of Christ.